New Orleans Plantation Country is home to 10 of the country's oldest, largest, and beautifully designed homes! Dating back over 2 centuries, New Orleans Plantation Homes are designated historical landmarks by the United States government. All ages love the allure of these magnificent estates, making Plantation Country a top vacation destination year-round. Besides the close proximity to New Orleans tours & attractions, discover the Top 5 Reasons We Love New Orleans Plantations! Destrehan Plantation was established in 1787 and remains the oldest plantation home in the south. From slave labor to rumored pirate treasure, history is everywhere in New Orleans Plantation Country! Ancient structures including restored slave quarters are on display at many Plantations, with history buffs demonstrating the use of old-world tools and comforts. Experienced guides will let guests in on secrets not heard anywhere else, like the creation of the "Br’er Rabbit" folk tales, and the signing of the 1804 "Jefferson Document." Plantation Country was built among ancient swamp lands, further adding to the region's captivating allure. Exotic Gulf Coast wildlife including birds, reptiles, and unusual mammals make for fascinating sights in the swamps and forests. Plantation grounds contain some of the most well manicured gardens and grounds in the country. Named for the 28 hulking Oak Trees leading to the entrance, Oak Alley Plantation is a shining example of Plantation Country's elegant touch. *See Alligators and stunning plant life at the famous Manchac Swamp, then head to Oak Alley or Laura Plantation on a combo Swamp/Plantation Tour. Find more details on New Orleans Plantation Combo Tours online. Grand buildings and structures define Plantation Home architecture and design. Once the homes of the country's wealthiest and most influential residents, New Orleans Plantations feature plans laid out by such famous architects as Joseph Pilié, the man that helped design many of New Orleans' original levees, wharves, and buildings. Antiques and artwork line the floors and walls of Plantation Country houses. Priceless artifacts are found around every corner, turning each historic mansion into a glamorous museum. 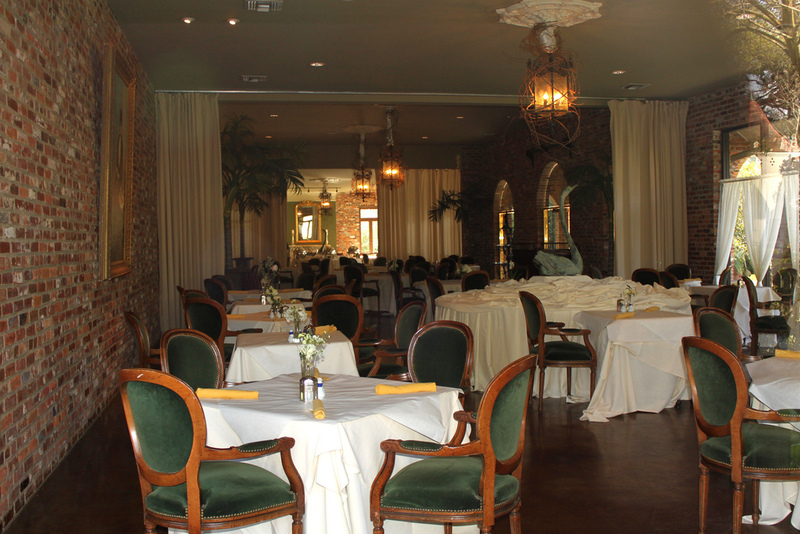 Many New Orleans Plantations offer on-site dining. From snack bars, to the Houmas House's "Latil's Landing" voted a "Top 20 Restaurant in America," you are sure to find delicious Creole and Cajun food while visiting Plantation Country! Enjoy classic Louisiana recipes in the form of Crawfish Etouffee or a Sazerac Cocktail while taking in Plantation sights. *Dine at the Houmas House's "Latil's Landing," or the casual "Cafe' Burnside" during a trip to Houmas House. For more info on Houmas House Plantation Tours with FREE transportation, visit Houmas House Plantation Tours online! Some of the greatest pieces of art and entertainment in the past century have taken place at New Orleans' brilliant Plantations! 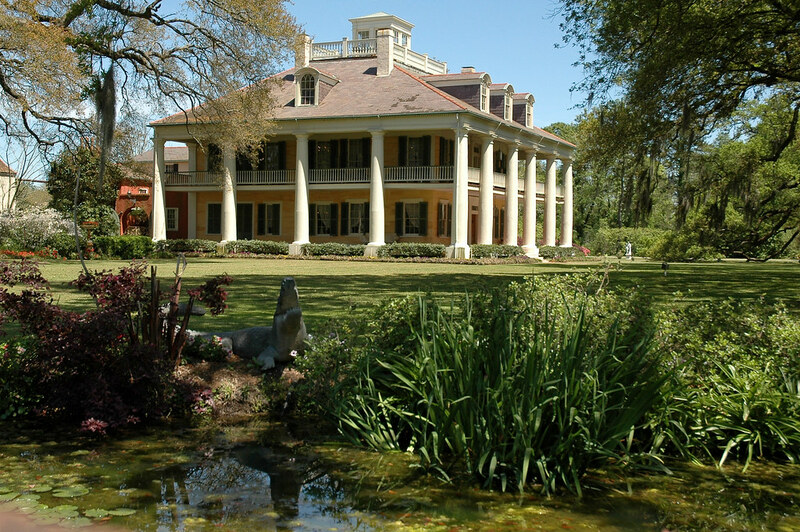 Even into the 21st century, such Hollywood hits as "Django Unchained" (Evergreen Plantation), and "12 Years a Slave" (Destrehan Plantation), were filmed in Plantation Country. Most recently, season 1 of the TV hit "True Detective" took place at locations throughout the area, including shots of scenic Plantation grounds.